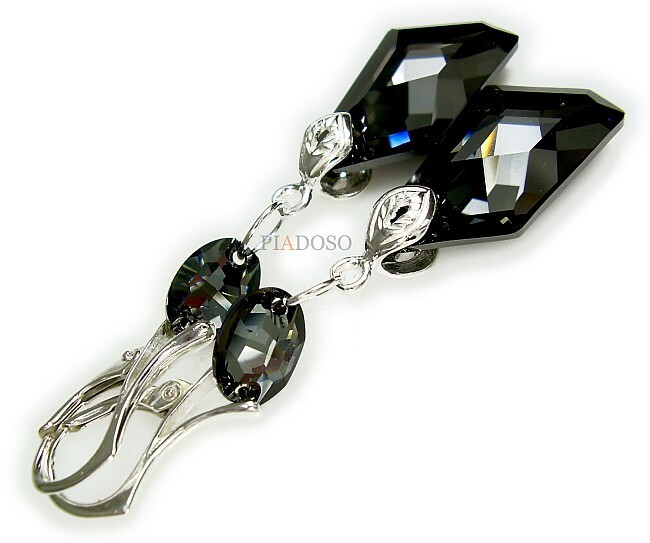 Beautiful silver Earrings with Swarovski Elements Crystals: NIGHT GLOSS. These genuine Austrian crystals are made in exclusive Swarovski Elements collection world-known for best sparkling crystals. Beautiful large crystal DE-ARTE in adorable newest color SILVER NIGHT inspired with stars gloss at night sky. Unforgettable jewellery for any occasion. It can be central element of your style or may be a perfect gift for your significant other. Elegant silver clasps and findings made with sterling silver 925. The stamp is marked on the clasps. You can change to open hooks or clipses for free.